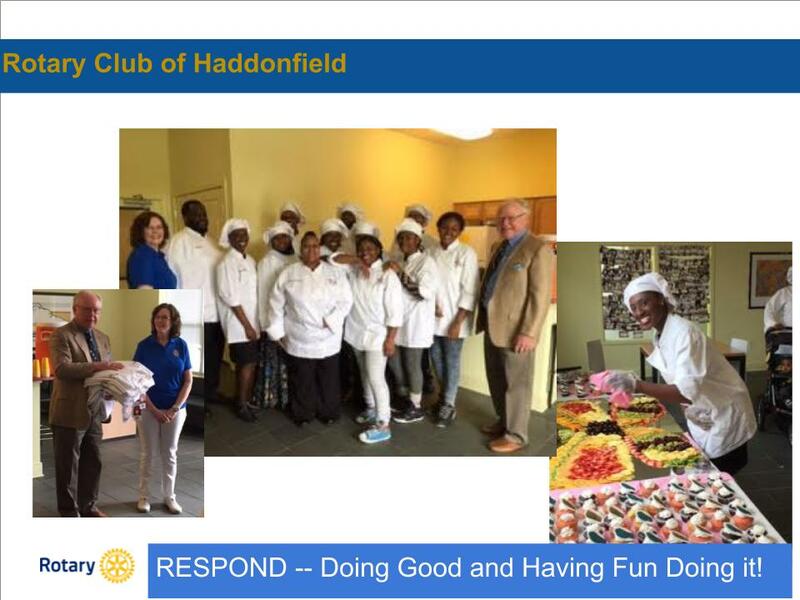 Paul Harris once said...“Whatever Rotary may mean to us, to the world it will be known by the results it achieves.” We are achieving impressive results due to the hard work and enthusiasm of the members of the Rotary Club of Haddonfield. In June of 2016, eight worthy service organizations received contributions, made possible by the members of the Rotary Club of Haddonfield. 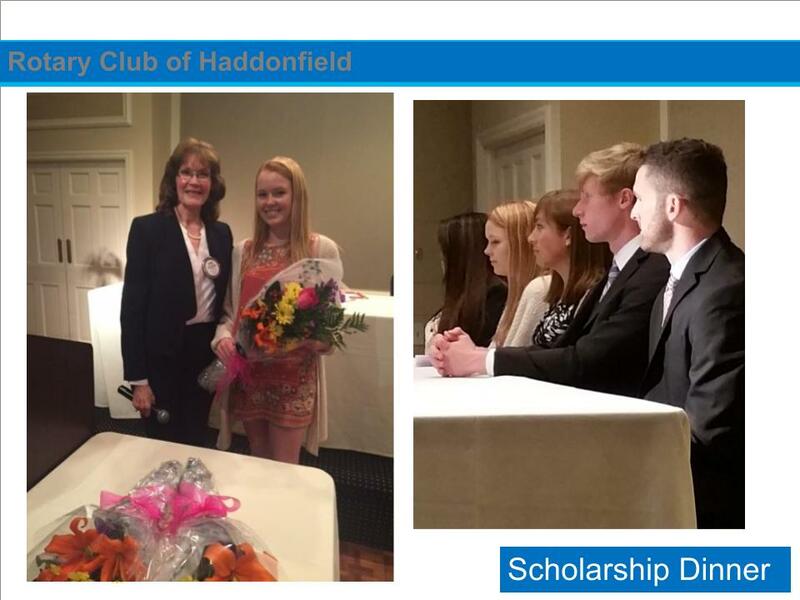 In addition, the Rotary Club of Haddonfield Foundation gave out six scholarships to area students pursuing higher education. From after school programs in Camden to youth leadership; from scholarships to basics like food and water -- Rotarians are changing the world. We are pleased to acknowledge our Club’s many accomplishments in support of our communities, our region and our world. In Rotary year 2016, from a Community Service perspective, we were pleased to contribute to Fellowship House, Municipal Alliance, Cathedral Kitchen and Interfaith Caregivers in support of their important missions. Thanks to our donors, we donated $6,000 to Fellowship House of South Camden. Fellowship House is providing opportunities for spiritual, academic, social and recreational enrichment for children and youth in South Camden. Thanks to our donors, we donated $5,000 to the Municipal Alliance, a program that supports prevention and addiction programs for community youth. We donated $2,000 to Cathedral Kitchen, which provides essential life services that support the health and well being of those in our community and, in doing so, helps to affirm each person’s humanity and dignity while guiding them towards self-sufficiency. We also donated $1,500 to Interfaith Caregivers, which facilitates independent living by providing supportive volunteer services for people who are elderly or have disabilities. From a Youth Services perspective, we sent six high school juniors and seniors to a week-long Rotary youth leadership assembly with students from other communities. We supported a group of high school students to attend Odyssey of the Mind national finals, where they ended up placing near the top. From an International Service perspective, we supported Rotaplast, It Takes a Village to Feed My Starving Children, Urban Promise and the Seira Project. 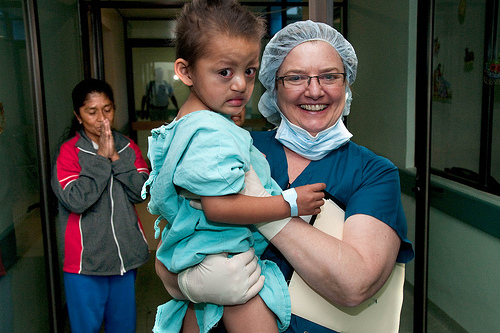 We donated $1,000 to Rotaplast, which is helping children and families worldwide by eliminating the burden of cleft lip and/or palate, burn scarring, and other deformities. We donated $1,000 to It Takes a Village to Feed My Starving Children to provide nourishment to starving children around the world. We donated $500 to Urban Promise to support their programs for children in Camden. 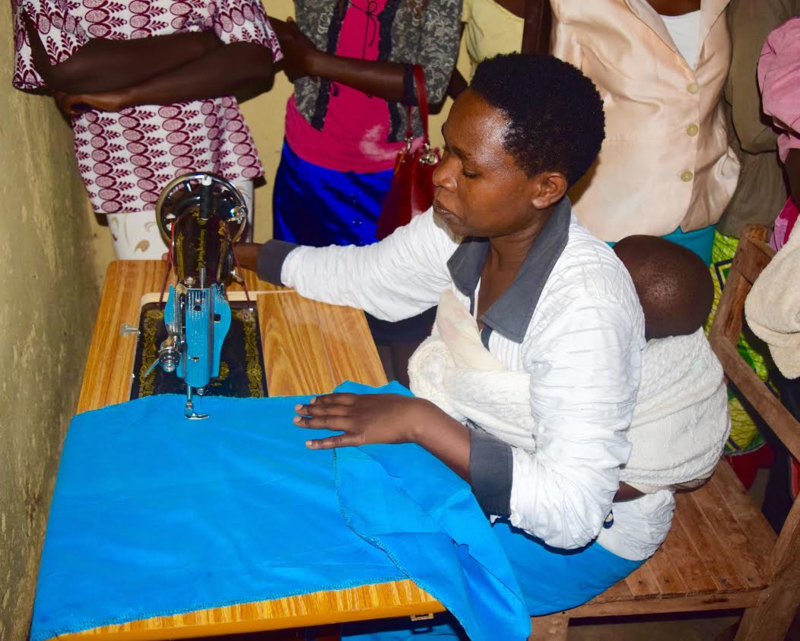 We donated $500 to the Seira Project, which is helping the women of Rwanda become self-supporting through donations of sewing machines and training programs. It starts with just one person -- one person who puts service above self, and reaches out to help others. One person can join together with others to achieve results and change the world. Join us.